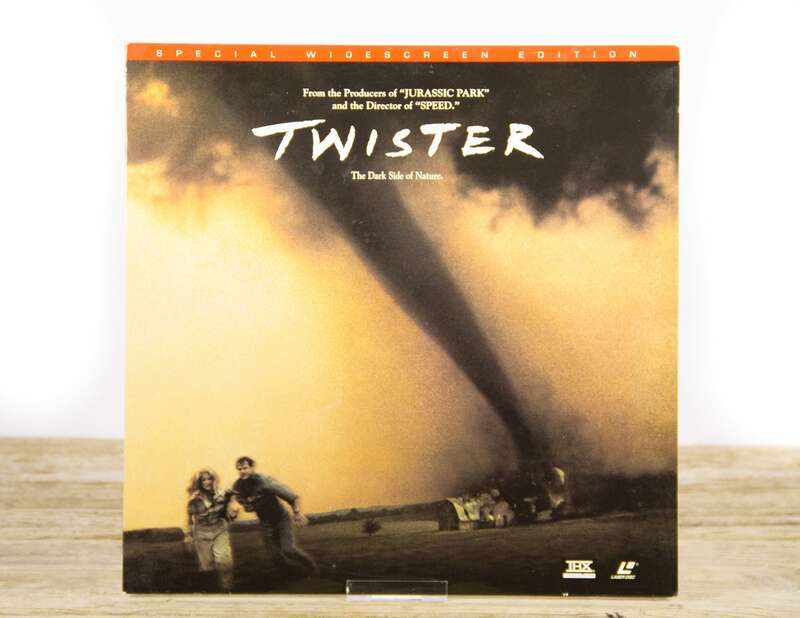 This is a vintage "Twister" LaserDisc movie from 1996! 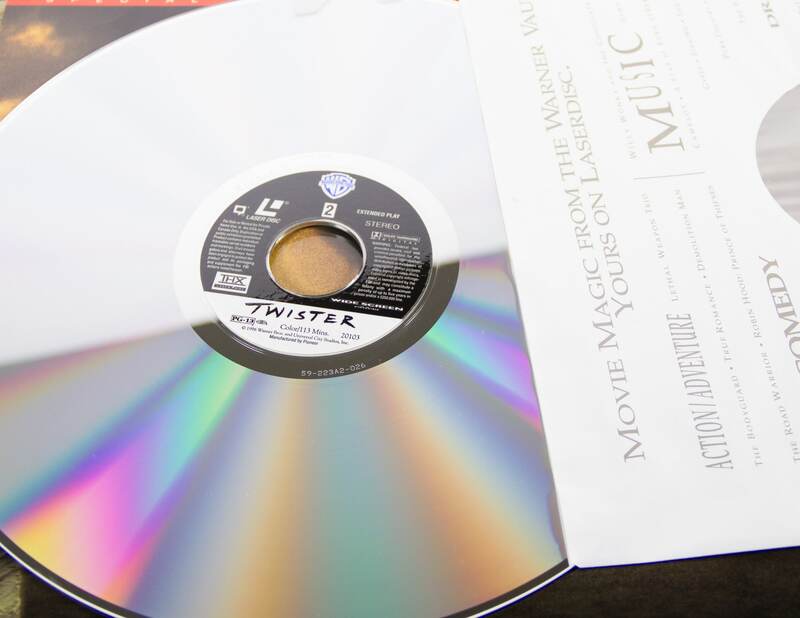 The movie and sleeve are in good vintage condition, with some creases on the sleeve. 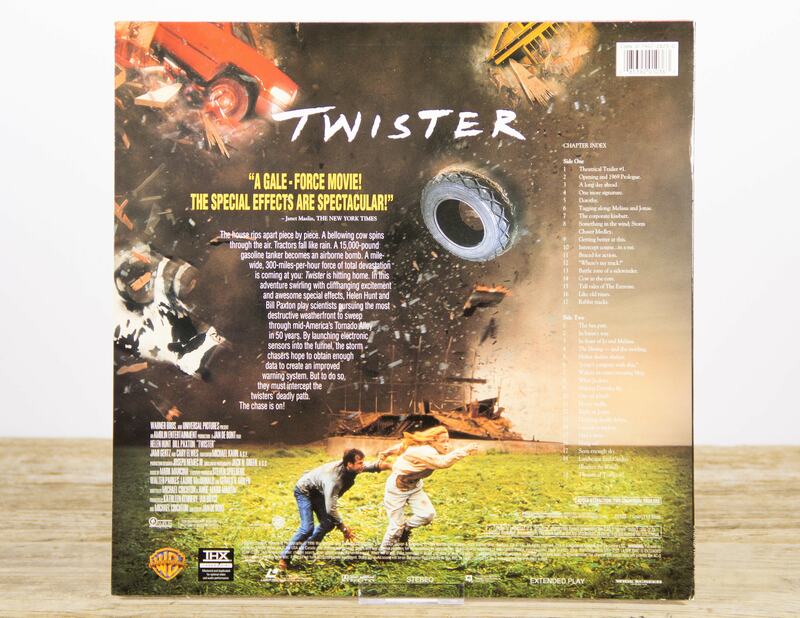 The movie sleeve is the size of a record album and would also be great framed and displayed in your home theater. Contact us with any questions. I received the item quickly and overall love it. However, two of the corners were somewhat bent, probably happened during shipping no doubt. Overall still a great piece for my collection.